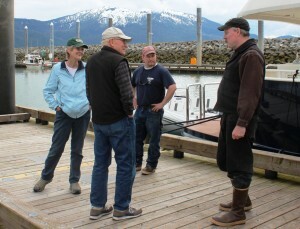 Recently I visited Wrangell and Thorne Bay to talk with residents about issues facing Southeast Alaska. Both communities have struggled with the lingering impacts of the collapse of the timber industry in our region. Despite these challenges, I’ve worked with community leaders and colleagues in the Legislature to help Southeast’s economy transition to new industries that will create jobs. In Wrangell we’ve made substantial investments in Energy, Health Care, and the Marine Construction industry. This includes completion of the Swan-Tyee Intertie and securing over $10 million to finish the build-out of the Wrangell Boat Yard. When completed, the boat yard will be a top-notch maritime center capable of attracting fishing boats, tenders, and pleasure craft from throughout the Pacific Northwest. The new facility will also provide dozens of new jobs for the community. During my time in Thorne Bay, I met with City Hall officials and the U.S. Forest Service to discuss how we can expand energy and transportation infrastructure on Prince of Wales Island. There’s great potential for new development on the island, ranging from biomass energy for small scale power production or new roads to access mineral resources at the Niblak and Bokan Mountain deposits. Thorne Bay is a natural harbor, and the Legislature has appropriated over $600,000 to improve the community’s marine infrastructure. Prince of Wales Island is experiencing a small renaissance in tourism with small-ship cruises visiting several communities to experience the island’s culture and first-class recreational opportunities. The trip also gave me an opportunity to bring my boat through the district and get a first-hand look at the improvements the communities have made to Heritage Harbor and Davidson Landing. I enjoyed my time in both communities and look forward to continue working with local leaders to improve the economy and quality of life in our region. 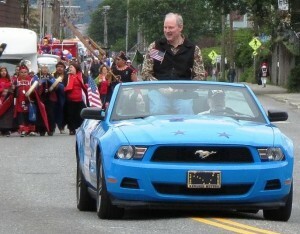 I enjoyed visiting Ketchikan this week to celebrate Independence Day. The community chose “Building for Ketchikan’s Future” as the theme for this year’s festivities. I was honored to serve as Grand Marshal of the Fourth of July parade, and humbled by Mayor Lew Williams’ kind words in nominating me. The celebration showcased numerous projects Ketchikan has undertaken to grow Southeast Alaska’s economy and improve our quality of life. I saw the benefits of these efforts firsthand when I addressed the grand opening of Ketchikan’s Fire Station #1. The station will enhance public safety in the community and the training of Ketchikan’s firefighters. The new facility will last for generations, and I’m glad the Legislature appropriated funding to help make this project possible. 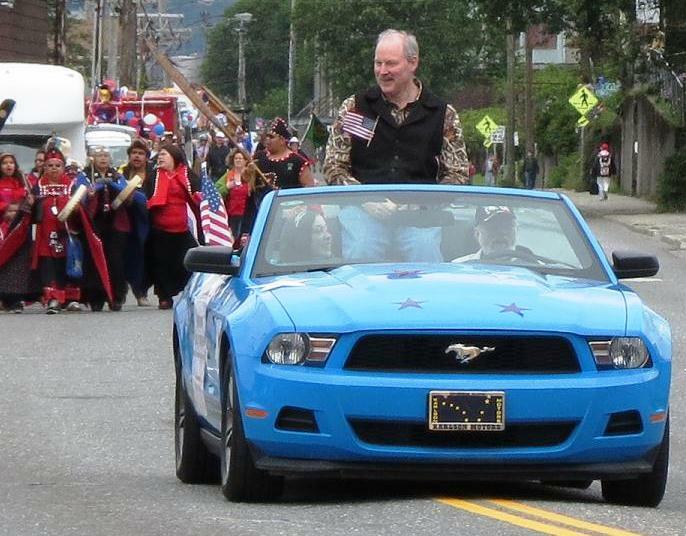 It’s a great honor to represent Ketchikan in the Legislature, and I enjoyed celebrating America’s birthday with the community. I’d like to thank the Ketchikan Chamber of Commerce and the City of Ketchikan for their invitation and for organizing a great celebration.